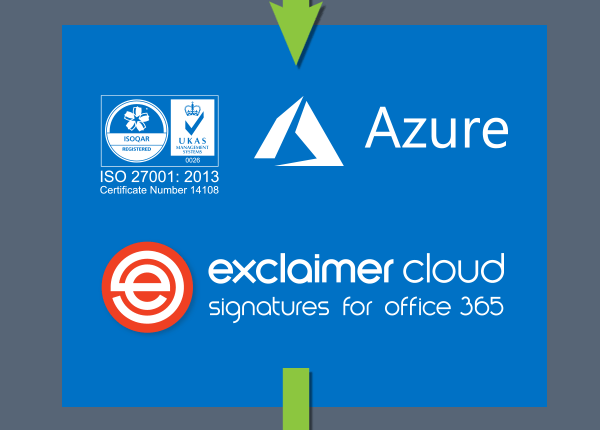 Exclaimer Cloud - Signatures for Office 365 is the premier cloud service for centrally managing Office 365 signatures. It provides the same benefits as our server-based email signature software, but works exclusively within the Microsoft cloud environment. 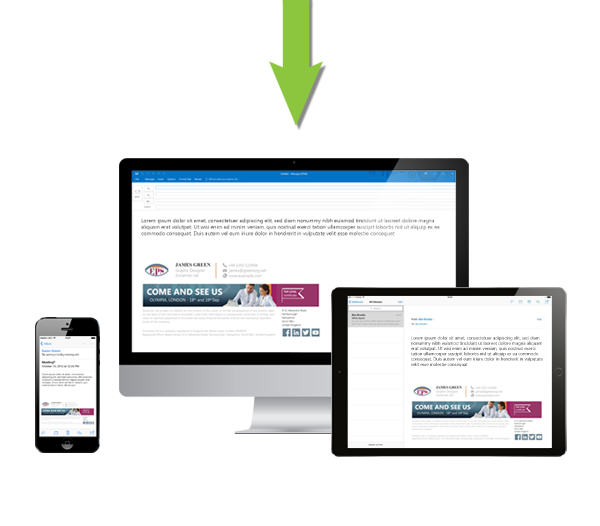 The product architecture uses revolutionary technology that truly makes it the next generation of email signature management services. 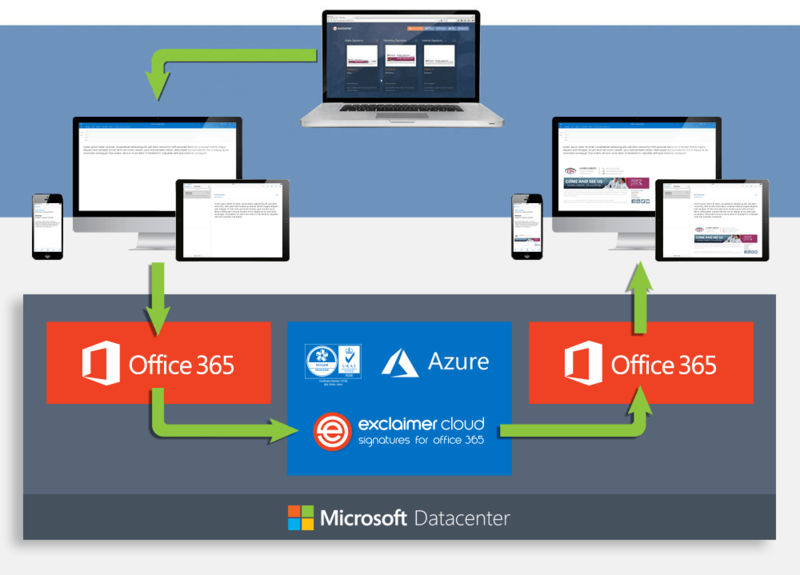 Exclaimer Cloud - Signatures for Office 365 is hosted within Microsoft Azure datacenters in the USA. This provides users with operational excellence, a trustworthy online experience and outstanding reliability. The use of multiple USA-based datacenters also ensures the highest levels of availability for the Exclaimer Cloud service at all times. With many public sector and government organisations in the USA demanding that their data stays exclusively within their country of origin, Exclaimer is ideally placed to meet your Office 365 signature management requirements. 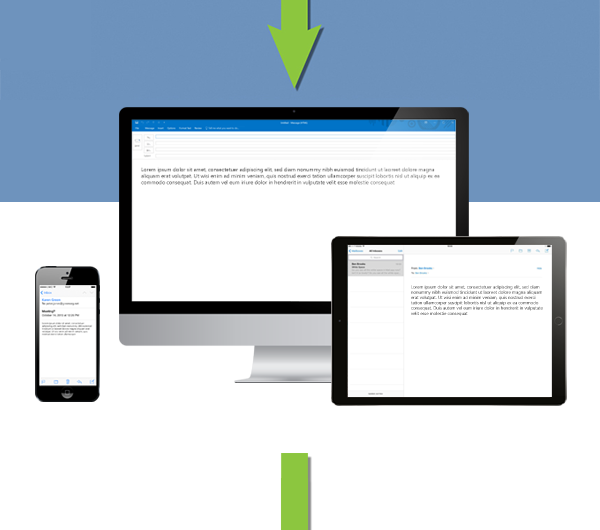 Building an email signature management service to work in the Cloud brings numerous challenges. Learn more about what went into creating our Office 365 signature service from Exclaimer Chief Scientist, Gary Levell, and how over 15 years of experience put us in the perfect position to create this next-generation solution. Exclaimer Cloud is extremely flexible, providing multiple setup options depending on your particular needs. Server-side only configuration: Mail flow is configured through connectors to go from Office 365 to Exclaimer's regional Azure servers. The signature is added and then passed back to Office 365 for sending. Signatures are applied when sent from any device, including mobile and Mac. Client-side only configuration: With this setup, mail flow does not pass through Microsoft Azure. An agent is installed locally which deploys signatures created in Exclaimer Cloud to your users' Outlook client. Your users will then have the option to choose from a set of signatures whilst composing an email. Client and server-side (the best of both worlds): Email signatures are deployed to Outlook, and emails are also passed through Azure. This means your users' still have the option to choose their signature when composing an email, and they'll also get signatures stamped on emails sent from mobile devices and Macs. Design email signatures from a library of professional signature templates, giving them to individuals and groups/department. All of the data is taken from your Office 365 Directory, so it will be 100% accurate, and you can easily manage additional email signature elements such as social media icons, promotional banners and legal disclaimers. You are also able to update any signature element and apply the changes in real time. Each email sent from your organization passes from Office 365 and is routed to one of Exclaimer’s regional Azure servers where Signatures for Office 365 is hosted. This means that the service stays within Microsoft data centers around the world, so no email ever leaves the Microsoft Cloud infrastructure. In essence, it is a load-balanced, high-availability Azure service. Exclaimer Cloud sees the incoming messages, imprints the appropriate signature on every email and passes them back to Office 365 for sending. It does not send emails out on your behalf as this is still done by Office 365. All data is securely managed according to the standards of the ISO 27001:2013 Certification. 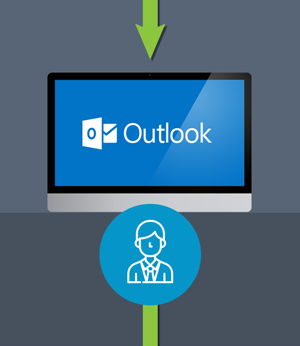 The email signatures will then be automatically downloaded to networked users’ Outlook client via an agent (no add-in required). The Exclaimer Azure setup uses load balancing to provide a single network service from our USA-based Azure servers. If one of these regional Azure servers were to cease operating, traffic is instantly redirected to a backup datacenter to ensure continuity of service. Measures are in place to ensure that the service scales with increased number of tenants, maintaining reliability and uptime. All inbound connections are secured through SSL Certificates and TLS, which are constantly checked to meet current cloud standards. Our 24/7/365 monitoring services automatically detect any service alerts, which are configured with escalation chains. 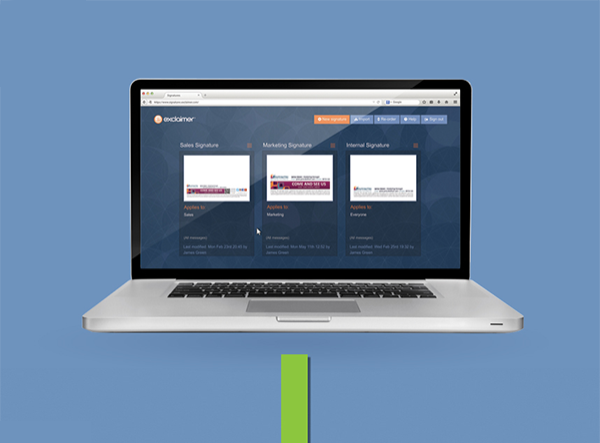 The Exclaimer Cloud Service Health page provides key details on the service and we provide real-time alerts for all subscribers. You can even sign up to receive notifications via email and SMS should you wish. Exclaimer Cloud - Signatures for Office 365 uses state-of-the-art tools and technologies to ensure all aspects of the service are readily available. The service is situated in load balanced environments for reliability and scalability purposes. Network and application traffic is therefore distributed across a number of different servers. The ISO 27001:2013 Certification is specifically focused on the development and supply of our cloud-hosted signature management service. It measures how our internal processes follow the ISO standard. Certification means a third party accredited independent auditor has performed a thorough assessment of Exclaimer Cloud and has confirmed it is operating in alignment with the ISO 27001:2013 Certification standard. This makes it the ONLY Office 365 signature solution in the world to achieve this accreditation. For more details on the wide-ranging security measures used by our cloud service, please contact a member of the Exclaimer Sales Team. Like what you see? Want to try Exclaimer Cloud – Signatures for Office 365 yourself? 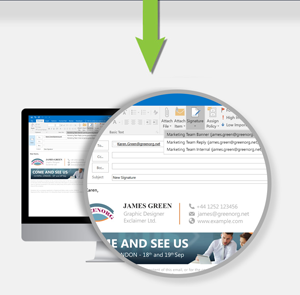 Design email signatures using an intuitive Office 365 signature editor tool or choose from a library of professional signature templates, giving them to individuals and groups/department. 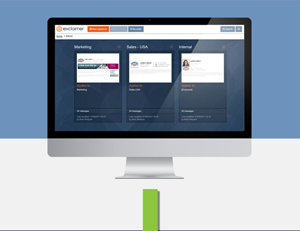 All of the data is taken from your Office 365 Directory, so it will be 100% accurate, and you can easily manage additional email signature elements such as social media icons, promotional banners and legal disclaimers. You are also able to update any signature element and apply the changes in real time. 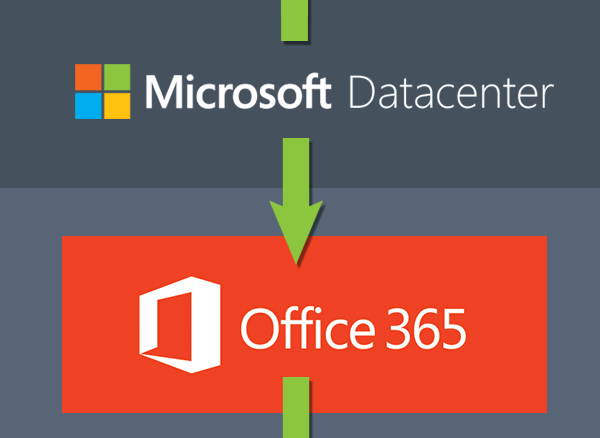 Each email sent passes from Office 365 and is routed to one of Exclaimer’s USA-based Azure servers using a start point connector set up in Office 365. 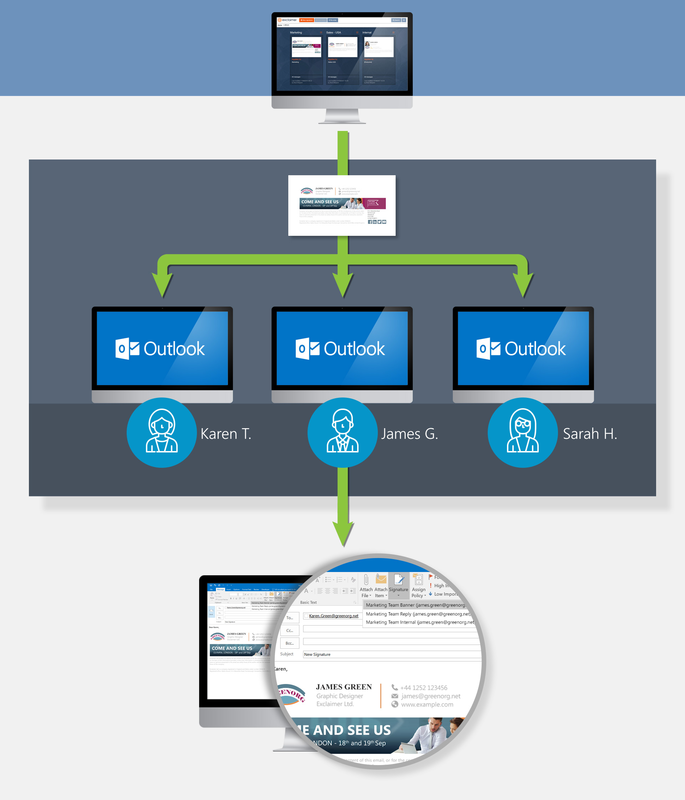 This is a standard Microsoft Office 365 protocol for configuring mail flow. Our Azure setup is designed to provide a high-availability, load balanced service. As the servers are based in the USA, the service stays within Microsoft datacenters that are local to you. This guarantees that no email ever leaves the Microsoft Cloud infrastructure. The emails go out as normal, but now have a high-quality signature appended to them. A signature has essentially been ‘stamped’ onto each email. Users will also be able to see Office 365 signatures in their Sent Items folder thanks to the most scalable and secure signature technology available. 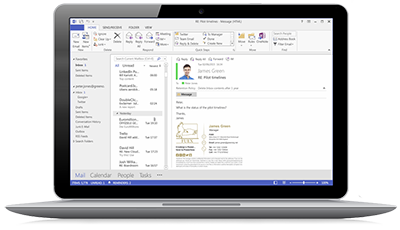 When a user begins composing an email in Outlook, the email signature will appear in the email with pre-populated contact details taken from your organization’s Office 365 Directory. If more than one email signature applies to a user, they’ll be able to choose one from the drop-down menu in Outlook.